Rendering Redux is a weekly examination of architectural rendering practices on Architizer. While many architects evaluate these images based on sheer effect, we take a more humorous approach, documenting the inconsistencies and incongruous scale figures that populate the architectural imagination. Each week, we take a look at a different project, decoding its renderings so you don’t have to. This week takes us to Baku White City, a proposed master plan for the capital of Azerbaijan. Baku White City gets its name from an aspired-to reversal of destiny; the development is slated to replace a district formerly known as the “Black City” due to its industrial buildings. While at first glance the proposed buildings look adventurous, a lot of its forms come directly out of the new-hyper-capitalist-development playbook. Baku White City has some pretty hefty firms as partners, including Atkins, Foster + Partners, and F+A Architects, which certainly helps add some seriousness to the proposal. 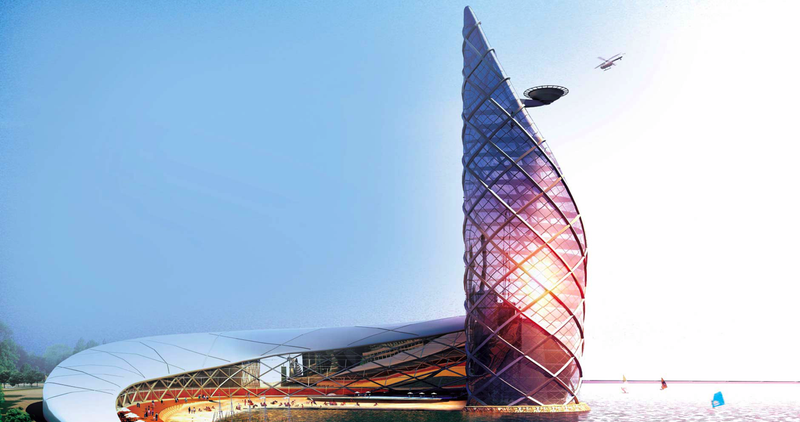 Nonetheless, renderings found on BWC’s website betray a bit more shakiness. In the image above, it is a feat to get such reflectivity in a rendering, yet the glare off of that surface will be intense. Maybe that’s why that couple on the bench in the foreground is not having a good time. Does Baku, a truly great world city, deserve more? See our full analysis of the bizarre images.